This is not a sponsored post, just something I believe in. All summer long we have been saving Box Tops for Education. We had friends and family helping us collect. Box Tops for Education are a great way for you to earn money for schools. The only thing you have to do is clip them off of whatever you buy that has them before you toss or recycle the wrapping. This time of year there are many products that have two or more Box Tops on each package. Each Box Top turned in is worth 10 cents. That means that for every 10 box tops you turn in to your child's school, that school earns a dollar. Right now my girls both attend the same school and there are over 1000 students. That means if every student brings in 10 Box Tops a month, that is $1000 per month for the school. Our house easily gets more than 10 box tops a month. 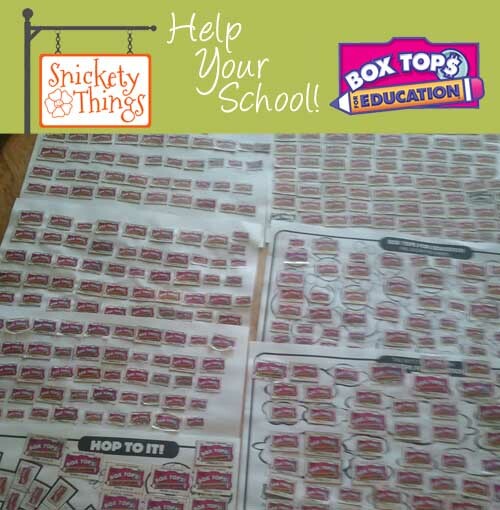 Over the summer we were able to collect 500 Box Tops thanks to friends and family without students who passed theirs along to us. What does 500 Box Tops look like? This is $50 ($25 for each of my girls) for our school that could have easily been thrown out with the trash. Think how much money that would be if each child had saved 250 box tops over the summer. At $25 for each of 1000 students it would be $25,000 for just our school just over one summer! My challenge to you is to save all Box Tops you find. Ask family and friends without children in school to help. Turn them in on October 1, 2012 and report back on how many you were able to collect. Don't have kids in school and don't know any? Just drop them off to the school yourself, they would love to have them. Do you save Box Tops? Yes! I save them too. I hate to think of money being thrown out with the trash and this is an easy way to support our schools. We collect Campbell's labels for education as well. Nice job! I hope your school is able to collect a lot this year. Just FYI if you know anyone who works in an office that uses BOISE brand paper for printers and copiers, they are a BOX TOP company. Each ream of paper has a box top on it. I work at a large company and I ask everyone to save them for me because they usually just throw them out. The box tops are on the front of every ream. Thanks Bonnie! I will be sure to let my friends know to watch out for these. Oh my do you have a ton!!! We save them and so are our families but no where near that many! My goal is to try and get $100 for the school this year. Oh yea! Helps when one works at a school! great things with these for our school. I hope your school collects a lot! Here's to more box tops for all! I know! It would help schools out so much if they turned them in instead of tossing them. Thanks for stopping by! I am so glad someone "pinned" your post! I appreciate you showing how easy it is! After all, if there were dimes taped to each package, we know we'd make sure to cut them off so we could spend those dimes... This is currency for the schools and it doesn't cost anyone anything extra to donate to the schools! Thanks again... If you don't have kids in schools, put the box tops in a collection basket at your church. They will make sure the box tops get to a worthy school! I am so glad you stopped by! 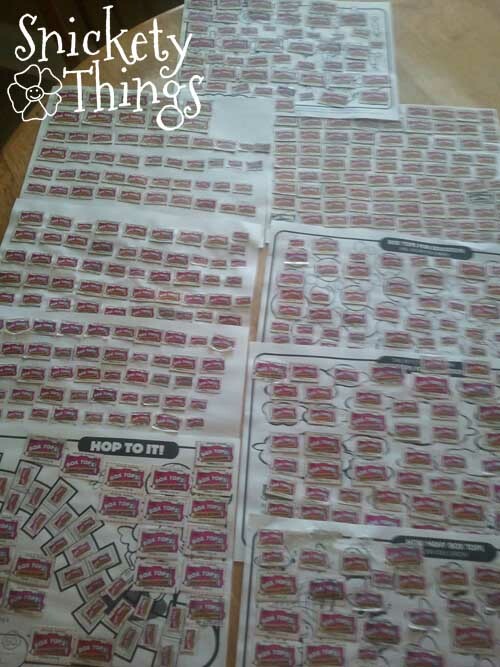 I am still collecting box tops and I actually have another post on them planned soon.